Upper Left, newest 3rd edition. This is a Work in Progress. I'm not quite satisfied with how it looks since adding the black and white outlines. You can buy it looking this way, but in the meantime, I'll be working on it to improve it as time permits. I'll post an update here as soon as I have one. I might designate the new one as Version 2 rather than continue adding to the number of Editions. As it stands, the original 1st and 2nd Ltd., Signed, Numbered Edition copies are in circulation. Therefore, I'll keep them available as an option. After I got some good advice of an artist colleague, I brought the wolf forward with the improvements shown in the 3rd edition, but not the 1st or 2nd edition. Just let me know when you put one in the cart which edition you are requesting, 1, 2, or 3. They're all signed, numbered, limited editions, and limited to 10 copies each. Lower left, 2nd Edition, signed number, limited to 10 prints. Same price as 1st edition. The changes are subtle but they were substantial enough that I decided to offer it as a separate collectible. Can you spot the changes? And as always, watermark will not appear on your purchase. 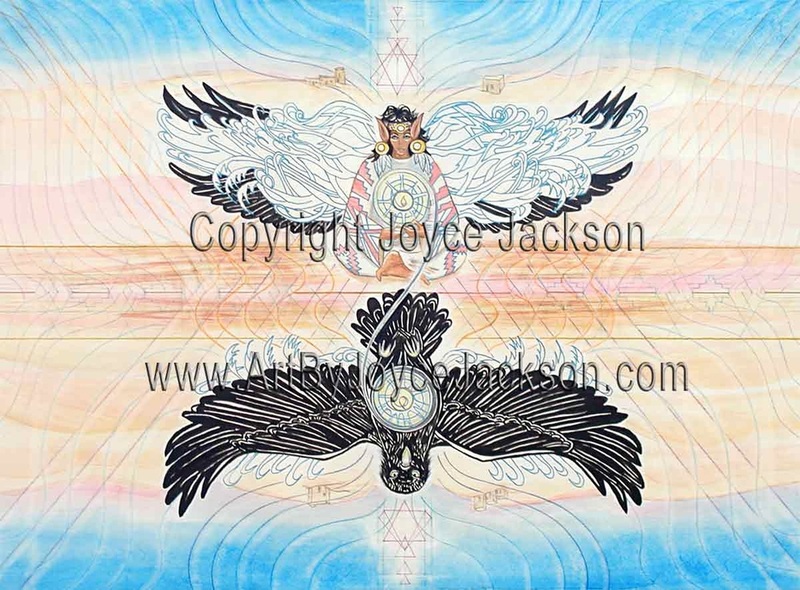 An original watercolor painting by Joyce Jackson. Watermark will not appear on your purchase. 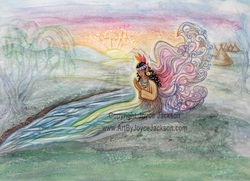 An original watercolor painting by Joyce Jackson. Mainly done in watercolor. 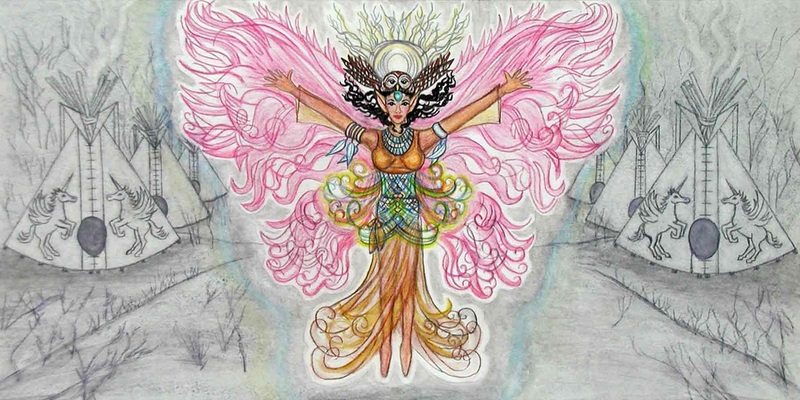 Other media were also used including graphite, gel pen, acrylic paint, and colored pencil. Watermark will not appear on your purchase. For this painting, I took a lot of time to make refinements. It started as a graphite (pencil) drawing. I colored it in with colored pencils and watercolor pencils. I made sketches of the background teepee scene after I had finished most of the fairy in the picture. I expanded the width of the picture area in order to place the teepee scene to each side. I made the sides nearly symmetrical. I kept the background colors muted to highlight the fairy. Original painting. Watercolor pencils, graphite on Bristol paper. 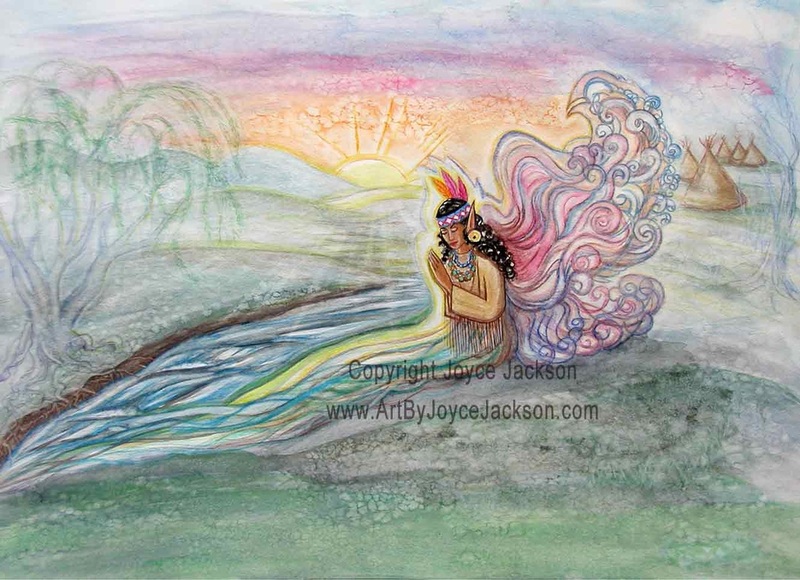 This is a part of my Native American woman fairies series. As of March 25, 2014, this is how it looks. I've removed it from For Sale status while I continue plans to expand its vertical size, adding more to both top and bottom of it. Created for the Enchanted Visions Project July, 2014 theme, Silence. Depicts the power of "Reality As It Is". It comes about through the activation of the crown chakra, the Sahasrara chakra. Chakras are spiritual energy centers. The Sahasrara level is the Hindu level of God Realization, according to ancient knowledge. This was told to me and a group of visitors to a great spiritual avatar, Bhagavan, when we had a special meeting with him called a darshan, at a temple in India. It represents the silencing of mind chatter. When this happens, true inner silence is experienced. Violet is the color associated with this chakra. Here, its activation is shown in relation to all the other chakras which correspond to areas along the spinal column. A circular path for each chakra meets the Sahasrara at the crown. 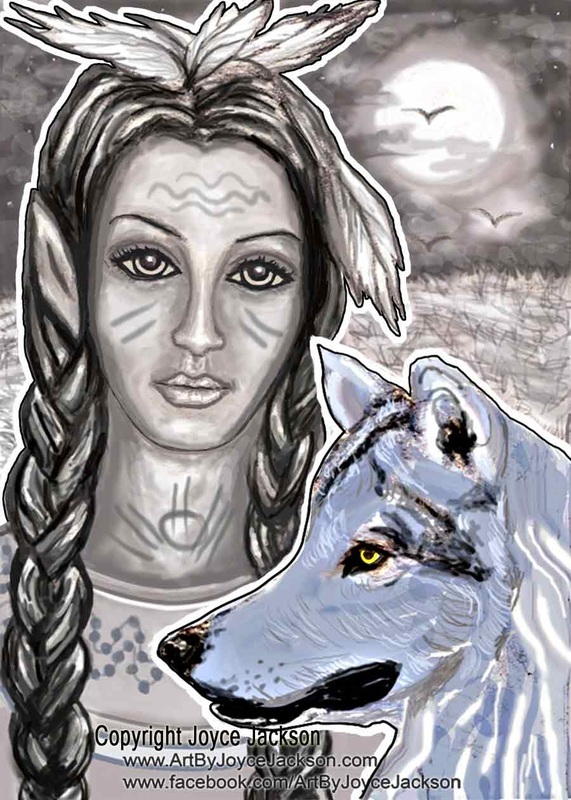 Animal spirits represent phases of empowerment of the Native woman who has a strong bond with Nature. She sees her visions through them. She shares her wings with a bird. Her other power animals reveal their presence. Networks of lines extending out from her body represent her neurons. Her neurons are the link between her mystical vision and the Earth. I've developed a creation process for the first time with this artwork where I'm able to charge less for the original. It took much less time to create than the other earlier ones, but not at a sacrifice of quality. The main differences are that it's smaller and I did most of it using pencils and pen instead of the more time-consuming watercolor painting process. 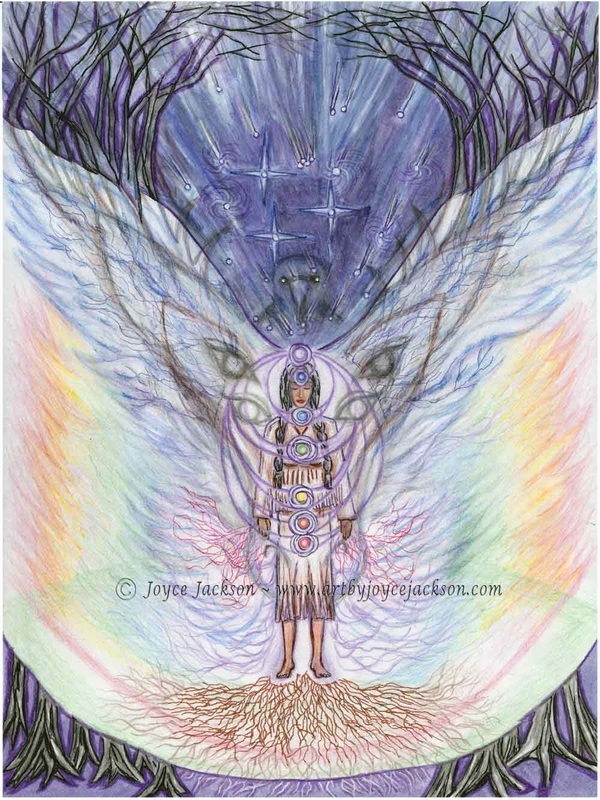 Prints and other versions of Owl Woman offered for purchase as shown at my page at this website.